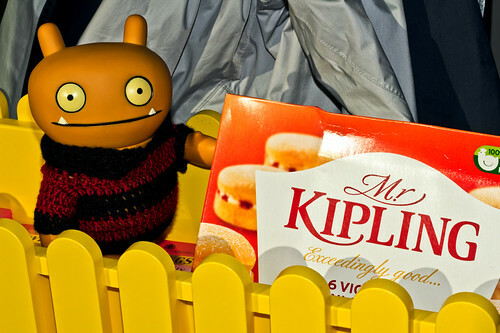 Uglyworld #1539 - Mr Kiplings Gardens (Project TW - Image 137-366), a photo by www.bazpics.com on Flickr. I lovers it when Mr Kiplings givers me a call on the telemaphone, and inviters me round for a cup of teas, as he always has something super tasties growings outsiders in the garden to goes with the teas! Looks, sees what I means?